In 1986 Mt O’Brien was officially opened to the public by Mrs Hanley (nee Mary Kathleen O’Brien) who was married to James Hanley and lived in Floreat Park. After being approached by the APEX Club of Wongan Hills to build an observatory on Mt O’Brien, the Wongan Hills Promotion Centre, together with the Shire of Wongan-Ballidu put in a submission for a grant through ‘Centenary of Federation’ to fund a “Lookout”, and in July 1999 the Hon. Wilson Tuckey announced that funding had been approved. The area was marked for CALM to check for rare plants before being cleared and burned. 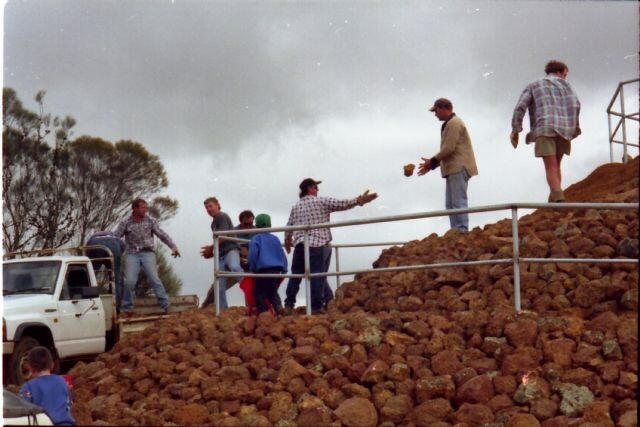 The entrance road was upgraded and bitumised by the Shire in 2000 and during 2000/01, over 600 tonnes of graved was carted up for the lookout. Mid July 2001 saw the mound for the ‘Lookout’ formed and each weekend, until the official opening, working bees with APEX and other volunteers formed, patched up and put the rock facing in place. Local businesses made the railings, gazebos, picnic tables and concrete paths with the help of volunteers. 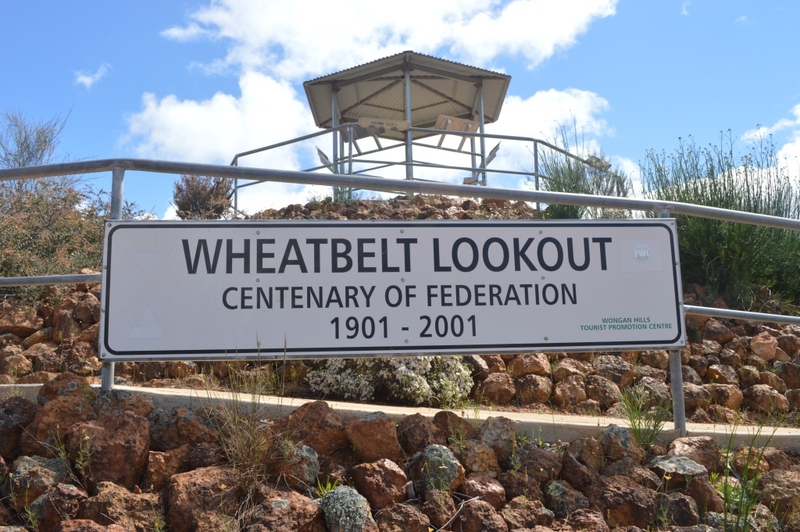 Mt O’Brien Centenary of Federation “Wheatbelt Lookout” was officially opened on 27th October 2001, jointly by Hon. Wilson Tuckey M.P., Federal Member for O’Connor and the Wongan –Ballidu Shire President Mr Duncan Holme J.P., with 150 people attending. At this event the Holme family donated to the Wongan -Ballidu Shire, 1 hectare adjoining the previous land excised, which now includes the mobile phone area and the Wheatbelt Lookout. 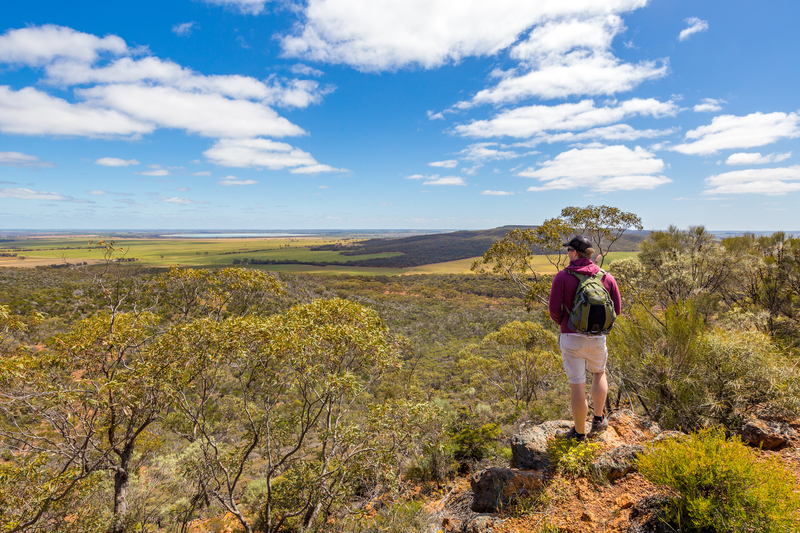 Mt O’Brien is the second highest point in the Wongan Hills area (424 metres), it has BBQ facilities, lighting, seating and tables. The lookout is also wheelchair accessible.